With Readly you can read It's War and thousands of other magazines on your tablet and smartphone. Get access to all with just one subscription. New releases and back issues – all included. Almost eighty years ago Britain went to war. After a series of threatening moves, Germany’s invasion of Poland triggered the declaration of a conflict that would last six years and cost 73 million lives. 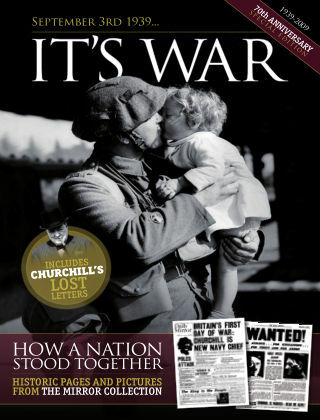 It’s War uses the Daily Mirror archives to reflect on how Britain prepared for the outbreak of war. Featuring incredible images and newspaper pages, it charts how the nation came together during a changing world situation. It also includes reproductions of the remarkable exclusive columns written by Winston Churchill for the Mirror in the build-up to war. It’s War is a tribute to the men, women and children who found themselves thrust into the deadliest conflict in human history.